Regular Fitness Workout Kettlebell, is made of cast iron. Unlike Competition Kettlebell which are uniform in size no matter their weights, Regular Fitness Kettlebell meet the demand for daily use fitness training purpose, and both the handle and size of the kettlebell increase as the weight increases. 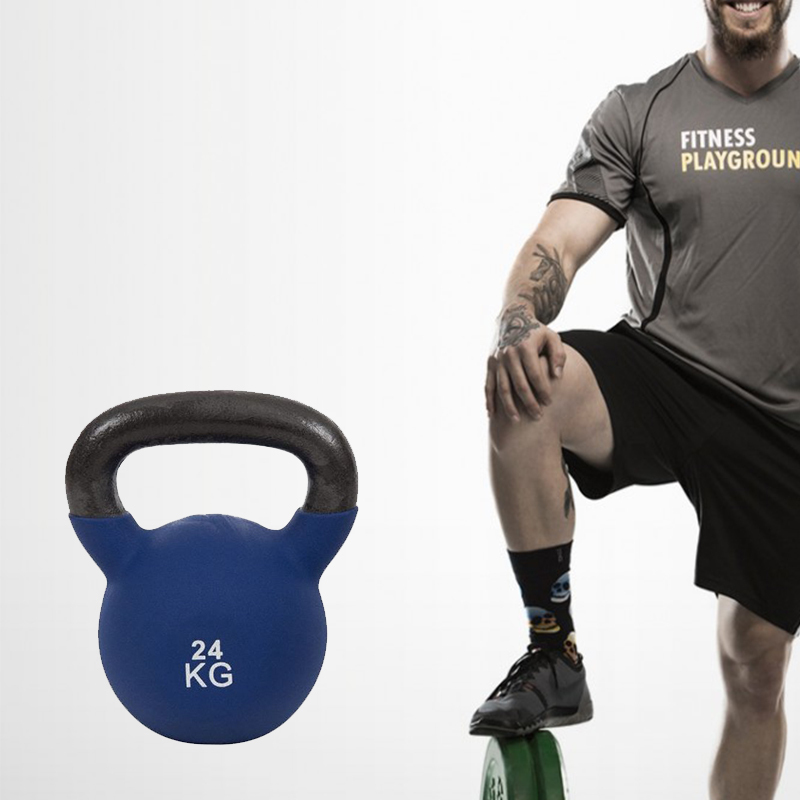 Cast Iron Kettlebell for general fitness purpose are available in a variety of weight ranges, from 8 kg up to 48 kg. Whole body are covered with powder, keeping the Black Cast Iron Kettlebell from chip and rust. One hand or two hands gripping to perform different workout exercises. Coating: Powder. Multiple colors at option. Protecting the bell from rust, chip etc. AZJ (China) Fitness Products Co., Ltd, is specialized in design, manufacturing and sales of sports fitness products. We are located in Rizhao city, Shandong Province, covering an area of 60,000 square meters. Equipped with the most advanced casting line and two processing lines, more than 70 machines. We have a production capacity of more than 30,000 metric tons a year. Our cast iron fitness product include Cast Iron Kettlebell,Steel Kettlebell, Cast Iron Dumbbell, Barbell, and Weight plate etc. We are able to do rubber coating, powder coating, cerakote coating etc. Our products are sold worldwide, and we have established good business relationship with customers from more than 30 countries and areas. Integrity, Honesty, Innovation and customer satisfaction are our core values. We sincerely hope to start cooperation with you. 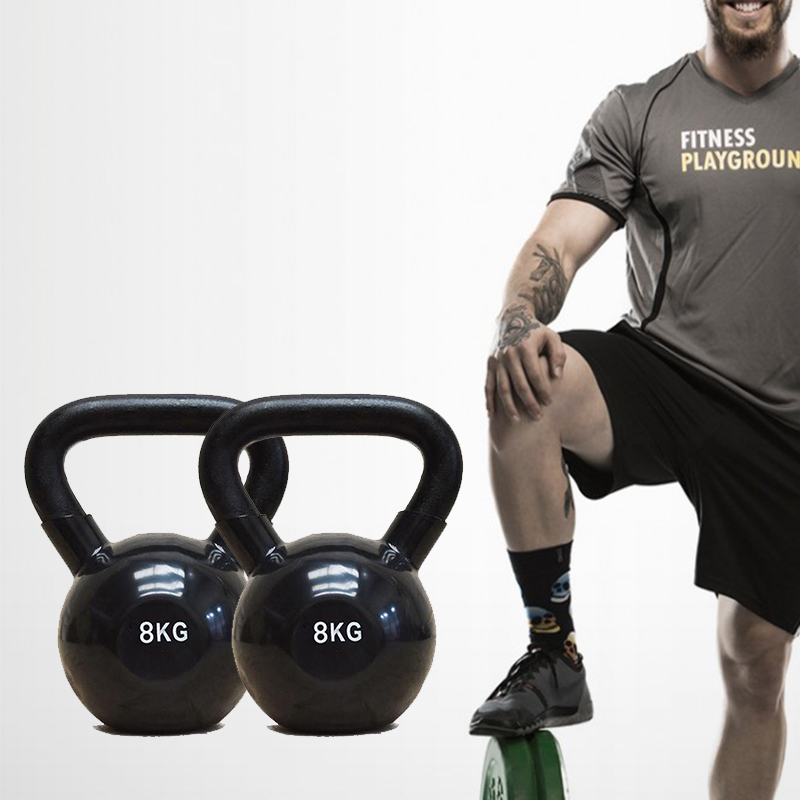 Looking for ideal High Quality Fitness Kettlebell Manufacturer & supplier ? We have a wide selection at great prices to help you get creative. All the Coated Training Kettlebell are quality guaranteed. We are China Origin Factory of Accuracy Weight Kettlebell. If you have any question, please feel free to contact us.